Extra Gloss Protection is a durable, easy to use sealant that forms a barrier, sealing polish in and dirt out. Treated surfaces are protected with a super-tough finish to keep paintwork looking brilliant for longer. 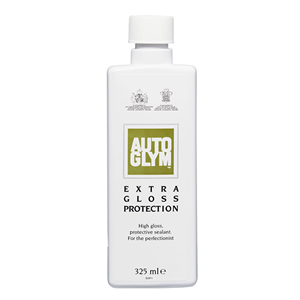 This durable deep gloss film is suitable for all types of automobile paintwork, including metallic, clearcoat and waterbased finishes.